If you work in online marketing (especially web analytics), you’ve undoubtedly heard of Google Tag Manager. But if, like me, you haven’t got much of a handle on the more technical aspects of digital marketing, you might struggle to understand the real magnitude of this tool and the applications it offers. 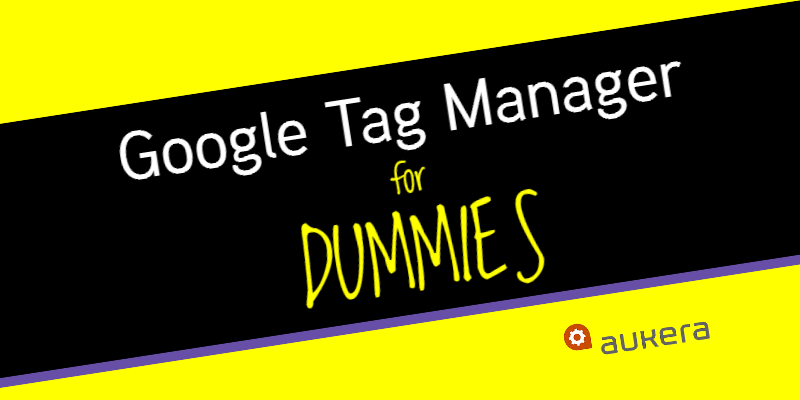 So, if you’re a bit of a dummy 😉 , feel free to keep reading, because by the time you’ve finished this article you’ll be ready to get to grips with Tag Manager. 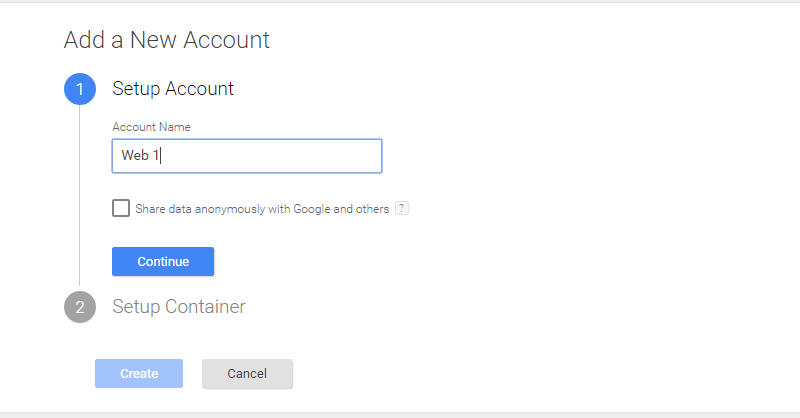 Google Tag Manager (GTM) is a tag container. What does that mean? Well, it means it works kind of like a Trojan horse: after installing GTM on a website, we can use the control panel to install lines of code (tags) that belong to other applications in order to perform different functions. It allows us to do all this without having to access the website’s code (or asking anyone to do it for us). One of its main advantages is the following: we can skip the code-installation step (e.g. for the Analytics code) for each of the website’s pages and instead install the codes much more easily via the GTM control panel. And if we would otherwise have needed to get another department in our company or an external marketing agency to install said codes, then the amount of time – and money – we could save is considerable. Another advantage of GTM for non-programmers is that there are loads of predefined tags, which let us perform the most frequent actions in just a few clicks and without having to do any coding. 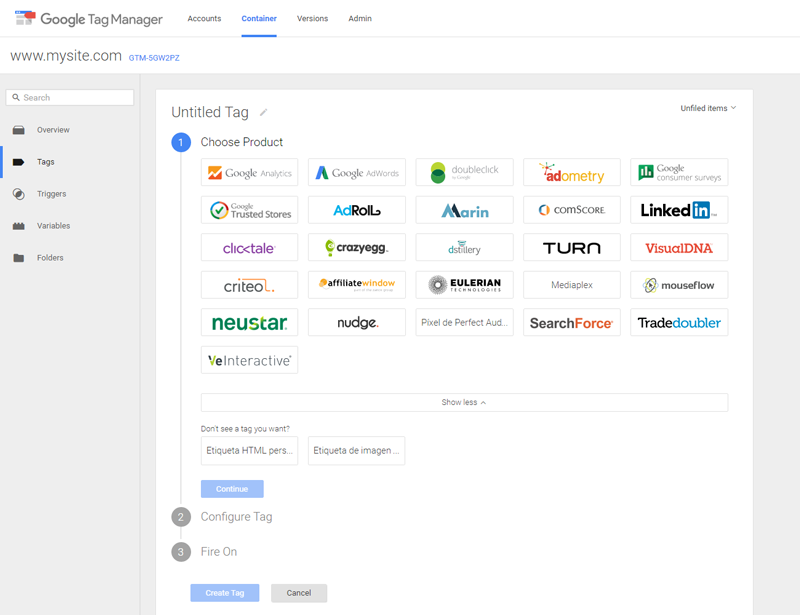 What’s Google Tag Manager used for? Plus, GTM lets us test everything before publishing it. In other words, we don’t have to wait to launch an advertising campaign in order to find out whether (for example) the tracking pixel has been installed correctly; GTM will confirm it for us beforehand. A further benefit is that we can use the control panel to see how many tags we’ve added to our website and delete those that are unnecessary (e.g. upon completion of an advertising campaign) very easily. This results in webpages with cleaner code and, consequently, faster loading times. 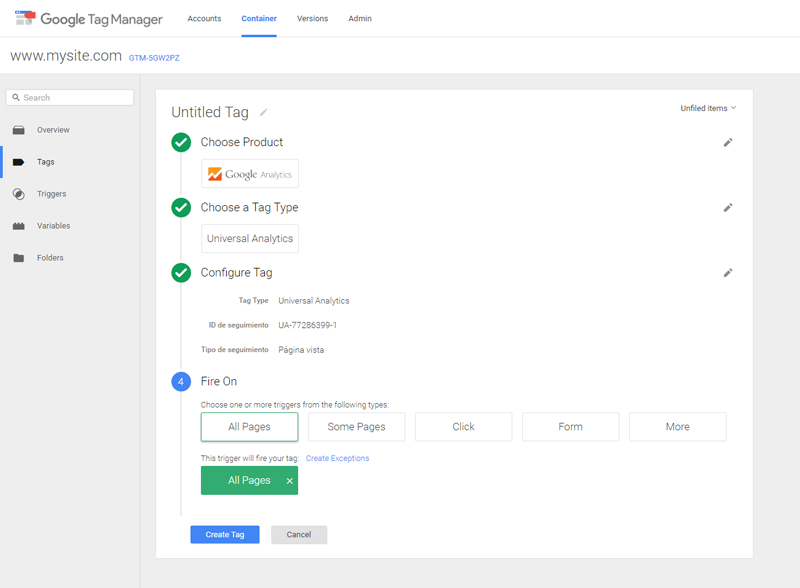 Why do you need Google Tag Manager? As I mentioned before, one of the main advantages of GTM is that we’re no longer dependent on third parties to implement certain tags on our website. We’ve heard of so many advertising campaigns that have been launched without installing a tracking code for conversions because the IT department had other priorities or because the response times of the supplier responsible for it were too long. And of course, launching an advertising campaign without being able to measure its impact is like throwing money out the window. Patrick doesn’t use Tag Manager. It’s also really useful to be able to add loads of tags while knowing next to nothing about coding, thanks to the predefined tags, as well as being able to test everything prior to launch. Let’s start at the beginning, i.e. installing the container on our website. To do this, we go to the Google Tag Manager webpage and click on “Sign Up”. The following screen will appear and we can add our account name. We can put whatever we want, although remember that the name should be distinctive enough for us to recognize it if we have to manage a number of different accounts. 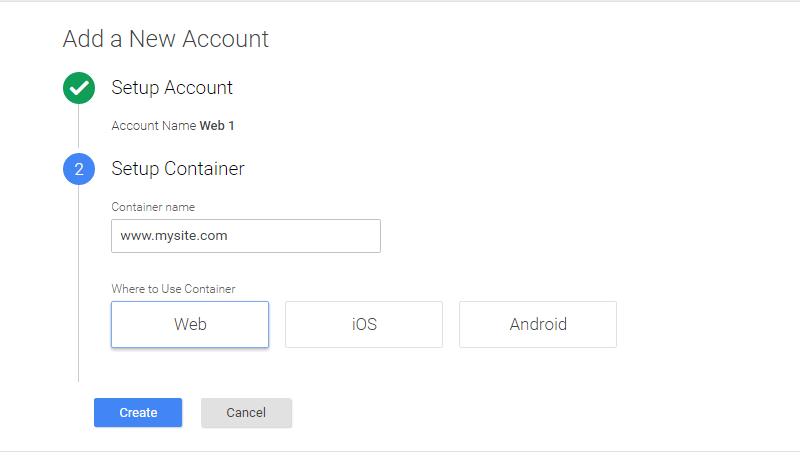 We then enter the address that will host the container and specify whether it’s a website or mobile app (iOS or Android). The next screen will show us the tracking code we need to add to our website, immediately after the <body> tag. If another department is responsible for implementing this tag, this is the only step they’ll have to do for you. Once that’s done, the container is added to our website and we can start creating tags. So far, so easy, right? Let’s start with something simple. Usually, one of the first things we do with GTM is to install the Google Analytics tracking code. Click on “New tag” to bring up a page of predefined tags for various products. The Analytics tag is at the top of the list. After we click on the Google Analytics button the first thing we’re asked is whether it’s a Universal Analytics tag or a Classic Analytics tag. After we’ve selected the corresponding option, we’ll then be asked for the tracking ID (the code beginning with “UA-”). We then select the option of firing the tag on all pages of the website. Finally, click on Publish tag and away we go. That’s it! We now have Google Analytics installed on our website. But be careful! If we’ve had Analytics installed directly on our website at some stage in the past, we’ll need to search for the tracking code and delete it from each page before installing Analytics via GTM, because otherwise we’ll receive duplicate data. 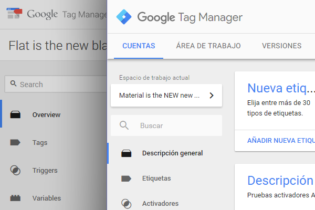 What else can I do with Google Tag Manager? 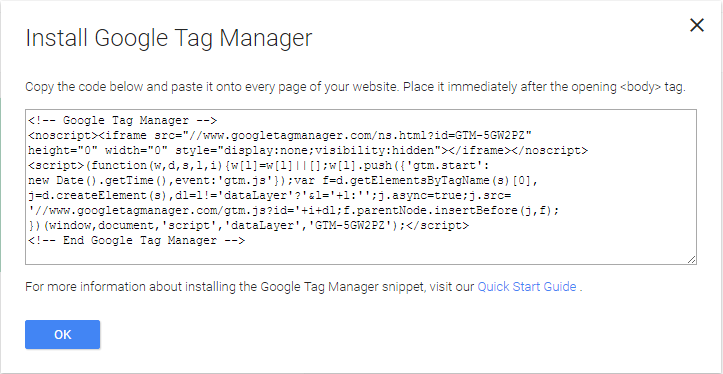 How to install Google Tag Manager in WordPress. Tracking interactions with Youtube videos embedded in our website. How to track Adwords conversions when there is no Thank You page. After launching a display campaign, do you want to know the websites on which your ads are clicked? Google Tag Manager lets you find out. 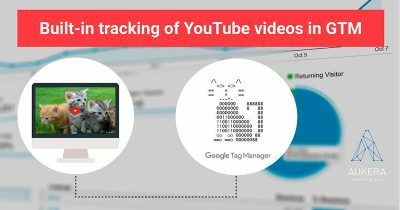 Google’s Tag Manager Fundamentals course. 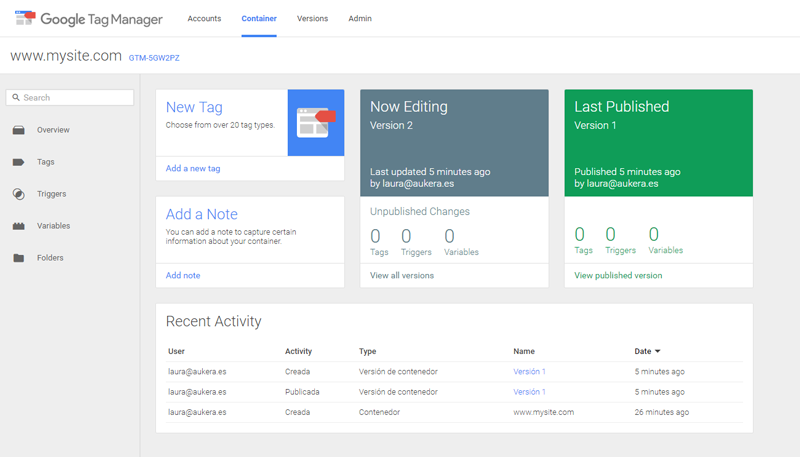 Our own blog 😉 where we have a lot of information and tutorials about Google Tag Manager. 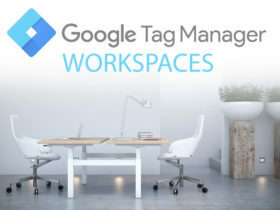 By making use of the resources available online and with a little bit of effort, you can stop being a Google Tag Manager dummy and start using the tool to your advantage. Give it a shot!